Web design has evolved a lot over the last couple years due to the amount of new devices on the market. From mobile devices to tablets to laptops one thing you can be sure of is that users on variety of different screens are looking at your site. That’s why responsive web design is of the utmost importance in today’s market. As a response to this rapid perpetuation of new devices the design world gave us: responsive design. Responsive web design is a process that allows for any type of device to comfortably view a website. 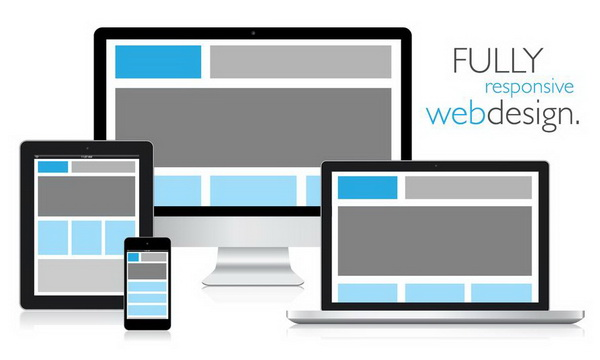 A responsive design allows a website to adjust itself based on the dimensions of the how you’re viewing it. Your website should look clean and professional on any device no matter who you are. As a company, we only started offering responsive web design as a byproduct of advertising. That is, in order to help our clients achieve better results on advertising campaigns. A big factor in ad performance is having a website that is professional and clean on any device. When a company is spending large amounts of money on Advertising to get people to their website it should be the first priority to have a great site that looks clean and professional on any device. If your users can’t easily navigate to where you want them to go, chances are you’re wasting your money. These days responsive web design is not only important when advertising but on the whole. Look around you and you can see more and more people beginning to view the web through handheld mobile devices and tablets…. in a few years will anyone even remember desktops and laptops?